Call for Chair Massage Volunteers! We invite you to volunteer for our annual Massage Therapy Legislative Awareness Day (MTLAD), hosted by Associated Bodywork and Massage Professionals (ABMP) and the American Massage Therapy Association (AMTA) – Colorado Chapter. 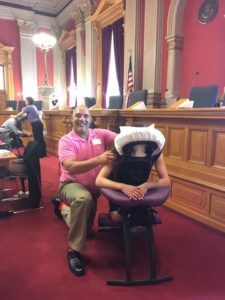 This is an excellent opportunity to demonstrate firsthand to Colorado legislators what massage therapy is all about and show them who we are as a profession. 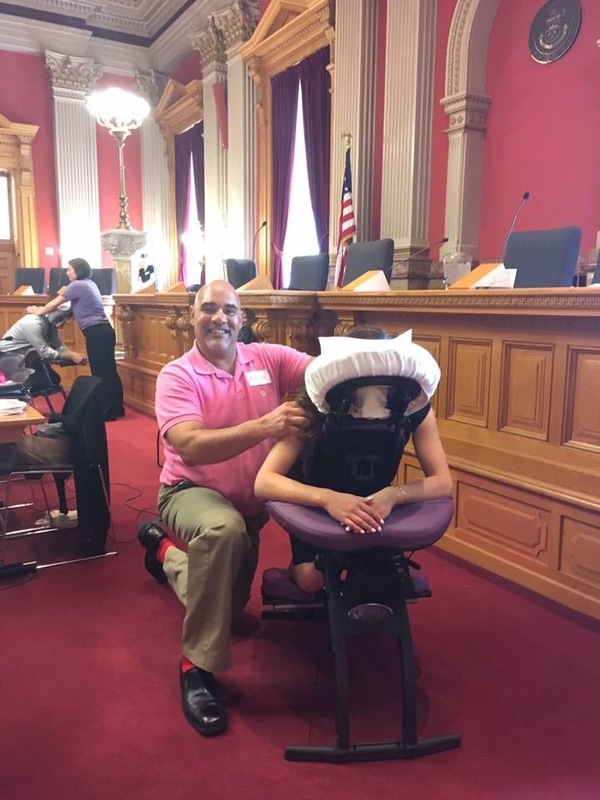 We are seeking volunteers to provide complimentary chair massage to Colorado state legislators from 8:30 a.m.–1:30 p.m. on Wednesday, April 3, 2019. Volunteers must have completed massage school and have a current Colorado state massage therapy license and liability insurance coverage. Volunteers must bring their own massage chair and supplies. When: Wednesday, April 3, 2019, 8:30 a.m.–1:30 p.m.
Time: Volunteer for all or part of the time period between 8:30 a.m. and 1:30 p.m. We ask that you commit to volunteering for at least 2.5 hours, if your schedule allows. When emailing, please indicate the time you plan to volunteer. • The MTLAD serves a dual purpose: creating a positive image of our profession with law makers, and to make influential contacts in the legislature.